With Christmas approaching and the 'silly' season getting sillier every year (or is that just us?) we think some extra zen time is in order! Enjoy our blissful air-conditioned space and take the time to relax and rejuvenate with this gorgeous 2-hr Restorative Yoga practice. Restorative yoga works on a deeper level than more active asana practices—we use poses as a tool to work energetically through the body, helping it to repair, restore and revitilise itself. Taking time out to completely relax is something that so many of us rarely do. Our lives are so busy with work and family responsibilities that relaxing falls way down on the list of priorities. Carving out time for relaxation and nourishment is such an important part of our wellbeing—physically mentally and emotionally. 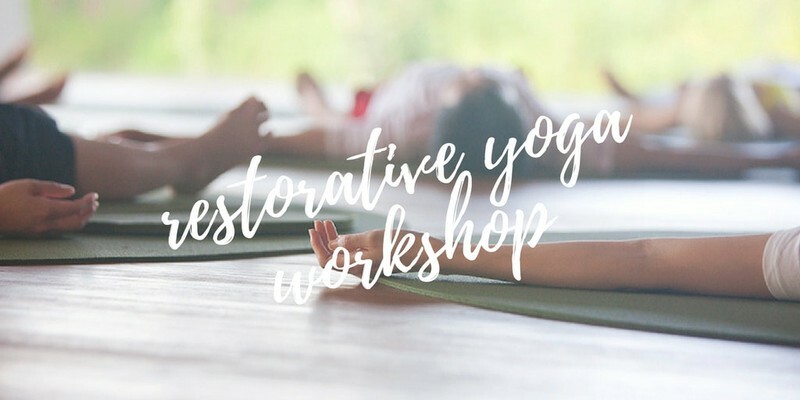 During this beautiful workshop Kaitlyn will guide you through a range of restorative poses incorporating tibetan bowls, bells and aromatherapy. The afternoon will focus on allowing our body and mind to deeply relax, a blissful 2 hours just for you!